As a family physician who has used an electronic medical record for 12 years, Gary Bevill, MD, sees himself as open to new technological advances. But the advent of Internet tools that allowed patients to enter their symptoms and receive possible diagnoses displeased him and many physicians. The increasing tendency of patients to visit “Dr. Google”—35% of U.S. adults have gone online to try to identify a medical condition in themselves or someone else, according to a 2013 survey from Pew Research Center—raised several concerns. “The classic physician concern is the patient will put in headache, and they're going to get freaked out because brain tumor will come up, and we're going to be inundated with people coming in with [imagined] brain tumors,” said Jason Maude, founder and CEO of Isabel Healthcare, a company that offers an online symptom checker for patients. This phenomenon even spawned a new term, “cyberchondria.” But advocates of these Web tools argue that physicians who hate symptom checkers might be suffering from excessive worry themselves. “Any time a patient can be more informed about their health and what their symptoms might mean, I think that's a good thing,” said Charles Bareis, MD, FACP, chief medical officer of Vanguard MacNeal Hospital in Chicago. Regardless of their feelings about them, he added, physicians need to adapt their practices to deal effectively with symptom checkers. “It's almost irrelevant what I as a physician think about it, because patients are doing it anyway,” Dr. Bareis said. As with any tool, an effective understanding of symptom checkers requires some practice. 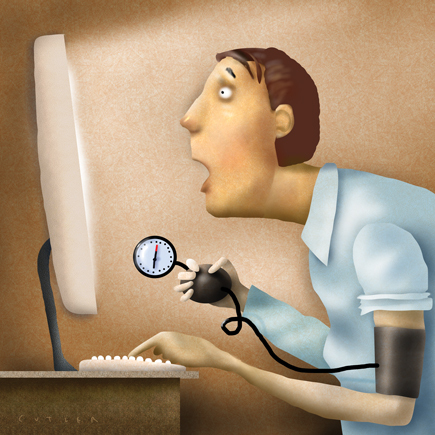 Physicians should try out the online tools that their patients may be using, experts advised. “You've got to put on your consumer hat when you do it, and say, ‘For a person without a medical degree, would this be helpful or not helpful?’” said Philip Hagen, MD, a senior medical editor for MayoClinic.com, which offers a symptom checker. However, physicians should also use some medical expertise in their evaluations. “You can help ensure the accuracy of the information by looking for sites that have board-certified, practicing physicians reviewing the content regularly and making sure the sources used for the content and tools are solid,” said ACP Member Michael Smith, MD, chief medical editor of WebMD, which also has a symptom checker. Symptom checkers are offered by some health care institutions, including the Mayo and Cleveland Clinics, as well as online-only businesses, like WebMD. Isabel is a recent entrant to the market, having expanded its diagnostic tool for physicians to layperson use this year. The tools vary in design, asking patients to click on a body part or choose symptoms, with different degrees of follow-up questioning, before diagnostic suggestions are provided. “Online health information and symptom checkers are not intended to replace the doctor's visit,” agreed Dr. Smith. Or at least not necessary doctor's visits. The tools could help patients decide when an appointment is needed, some experts said. “It's what 30 years ago the doctor's nurse might have done. The patient might have called and said, ‘I'm not sure if I need to come in and see the doctor. What do you think?’” said Dr. Hagen. If this kind of use prevented unneeded visits, symptom checkers could be a time- and cost-saver, he added. On the other end, symptom checkers could encourage a patient to seek care when it is urgently needed. “That allows them hopefully to recognize more serious symptoms quicker and not ignore them,” said Dr. Bareis. There's also potential benefit when the patient's problem is somewhere between urgent and treatable at home, experts said. “When they get to the doctor's office, they've already started an organized thought process, and I think it makes the interaction with the doctor much more fruitful, efficient. It allows the doctor to get to a higher level of interaction, diagnosis, treatment quicker,” Dr. Hagen said. “The better informed patient is much easier to deal with,” agreed Mr. Maude. Unless, of course, the patient has misinformed himself through previsit symptom checking. As leery physicians predicted, this is one of the major downsides of symptom checking. “If it's a migraine, for example, instead of being able to talk to them about prevention and treatment, I spend a lot of the visit explaining why it's not multiple sclerosis,” said Dr. Bevill. Patients had such worries even before symptom checkers, though, countered Dr. Hagen. “Our patients come in using whatever background they have. That may be what their neighbor told them or what they learned in grade school. I don't think that the diagnostic tools worsen that fear factor,” he said. The websites almost always provide a list of possible diagnoses, which they expect patients to narrow in concert with their physicians. “It should be the patient and physician together working jointly to produce a differential diagnosis,” said Mr. Maude. To accomplish that cooperative process, physicians have to be receptive to patients' discussion of their Internet findings. “If they come to the office with a stack of papers, you need to sit down with them and look through it,” said ACP Member Kevin Pho, MD, an internist in Nashua, N.H., and founder of the blog KevinMD.com. “Don't tell them not to [use symptom checkers], because they're going to do it anyway,” he added. Expressing disapproval of the tools may just create a barrier to open patient-physician communication in the future, the experts said. “If physicians avoid the topic, patients will not feel comfortable discussing what they find and may use [symptom checkers] inappropriately,” said Dr. Smith. 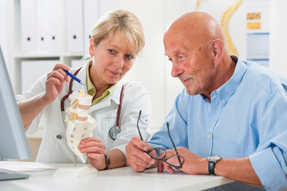 Encourage patients, in return, to ask you questions about the information they've found. 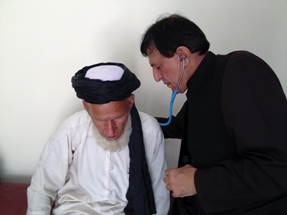 “The doctor is really the filter that can provide context for the patient. It can be overwhelming how the symptom checkers list thousands of diagnoses,” said Dr. Pho. For patients who come to a visit with information from a symptom checker, this conversation is a necessity, but experts debated whether a physician should also delve into the subject with patients who give no sign of using symptom checkers. Some favored proactively raising the subject and endorsing any symptom checker that you've explored and found useful. “If you see a site that you like, recommend it,” said Dr. Smith. Others prefer to let patients take the lead. Although Dr. Bevill's practice now offers Isabel's symptom checker on its website, he lets patients find it on their own. “I don't really encourage it,” he said. With or without physicians' encouragement, however, symptom checkers are likely here to stay. The format may change (see sidebar), but in some manner, patients will continue to access the growing store of medical knowledge on the Internet. “For me, this is about the democratization of health care. All that knowledge should not reside in just the physician's head,” said Mr. Maude. This leveling of the information imbalance may be uncomfortable for physicians for a while, but eventually it should result in better care, experts said. “Physicians have a new role as information curators rather than being the sole source of information. The sooner we accept that new role, the better we'll adjust to how the doctor-patient relationship is evolving,” said Dr. Pho. And don't worry, the experts added, the doctor's role may be changing, but it's expected to remain important for a long time to come. The future of symptom checking? Online symptom checkers use feedback from Internet users, both physicians and patients, to improve the accuracy of their results. But what if those users directly diagnosed patients? That's the concept behind CrowdMed, a website launched earlier this year. The site employs the wisdom of the crowd to try to help patients with undiagnosed illnesses, who pay $199 to submit their medical history online in the hopes of getting a diagnosis. “Our early adopters are the people that have the most perplexing conditions. A lot of our patients have been struggling for months or years,” said Jared Heyman, founder of the company. When a patient submits his information, it is anonymized and then posted for review by CrowdMed's “medical detectives.” Anyone can sign up for free to be a medical detective, and there are currently about 5,000 on the site, about one-third of whom work in health care. The detectives can ask questions of the patients, suggest diagnoses, and “bet” using a point system on diagnoses suggested by other detectives. After a representative number of detectives have weighed in (usually at least 50 to 60, Mr. Heyman said), patients are presented with the crowd's conclusions. Other than during some special contests, detectives receive no financial compensation. They're in it for the fun, challenge, and possibility of helping other people, although they also receive points (which improve their ranking among the site's detectives) by making smart bets on diagnoses that turn out to be correct. Because the site is new, the effectiveness of this diagnostic method is still uncertain. Of the first 100 patients seen by the crowd, only four have taken the site up on its money-back guarantee because they didn't find the results helpful, Mr. Heyman reported. Eventually, if the system turns out to work, he hopes it could expand to more patients, with less complicated diagnoses.